With over 10 years’ experience in foodservice, including positions at the Authentic Food Company, Aryzta Food Solutions, ABF and Brakes Foodservice, Roger’s passion and knowledge will be invaluable to Young’s customers going forward. “It is great to welcome Roger Sudlow to our growing foodservice team. His array of impressive experience over the years as a chef, hotel manager and in business development demonstrates his passion of the foodservice industry and his understanding of exactly what our customers want. 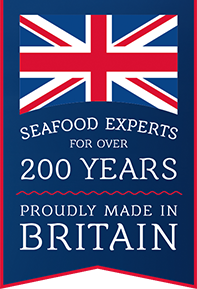 “I’m thrilled to be joining the largest seafood company within the UK at such an exciting time. I have a passion for foodservice, engaging with customers and I look forward to getting stuck in to achieving the company’s aims and objectives.